is like a poison dragon. 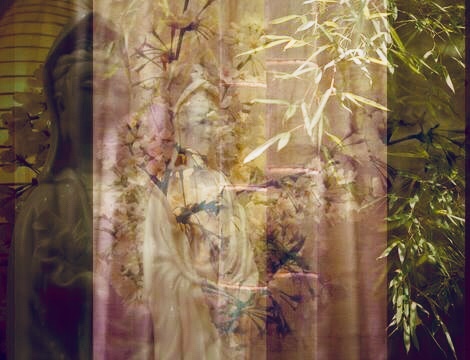 Metaphors are intrinsic of Kwan Yin. 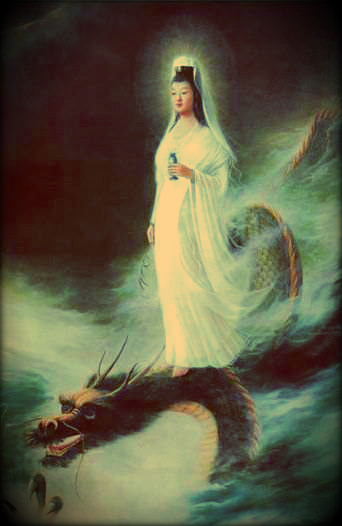 Riding upon a dragon, the dragon, symbolic of potent energy which can be put to great use, as dragon is an envoy of heaven; Kwan Yin, bodhisattva of compassion riding upon the dragon, can be seen as symbolic of washing away delusions. Anger, jealousy, and greed are afflictions of mind that obscure compassion. 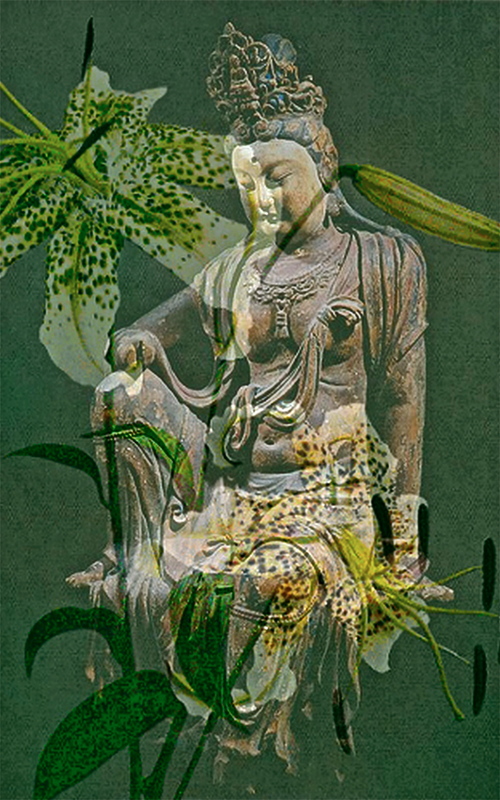 To subdue and vanquish antagonistic states, one is able to turn the energy to great use for the benefit of all. The light of compassion conquers delusion.